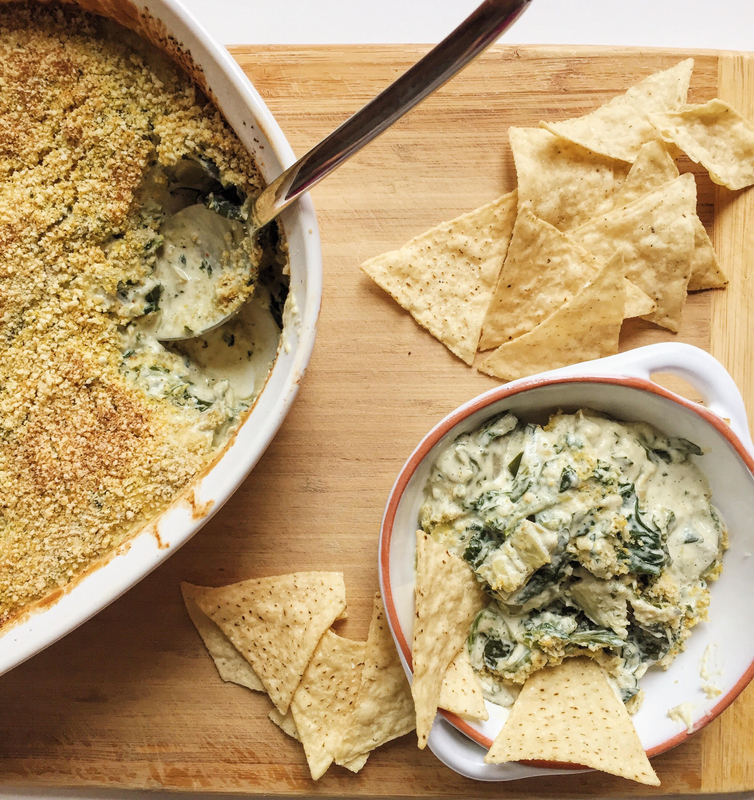 If there’s one thing I know, it’s that nearly everyone loves hot spinach and artichoke dip – sadly, this beloved appetizer is full of animal products, cholesterol, saturated fat, and other nasties. What’s a girl to do? Create an all natural vegan version that doesn’t rely on commercial cheese/dairy substitutes, of course! It’s back, friends, and better than ever – when I was tasting this for the first time, I could not believe that it was vegan (weird, since I made the recipe myself). This hot spinach and artichoke dip is so decadent tasting, so packed full of flavor, so creamy and addictive, you’ll immediately declare that you’re making it for every gathering for the rest of time. In a large pan, heat olive oil over medium high heat. Add onion and cook until softened, about 3-4 minutes. Add garlic and cook for 1 additional minute. Season with a pinch of salt and remove from heat. Remove approximately half of the cooked onion/garlic mixture and set aside. Add defrosted/drained spinach and chopped artichoke hearts to pan along with remaining onion/garlic mixture. Stir to combine and cook at medium heat until completely heated through. Remove from heat and add to an 8×8” oven proof baking dish. Add drained cashews, water, salt, nutmeg, nutritional yeast, apple cider vinegar and Dijon mustard to blender, along with reserved portion of cooked onion/garlic mixture. Blend until completely smooth. Pour cashew cream into baking dish and gently mix to combine with spinach and artichoke mixture (the dip will seem liquidy but will thicken when cooked). Sprinkle breadcrumbs and vegan parmesan cheese evenly over the surface of the dip. Bake dip, uncovered, for 20-25 minutes, or until entirely heated through and breadcrumbs/vegan parmesan cheese are golden brown. Serve immediately with tortilla chips, pita chips, crostini or crudité. 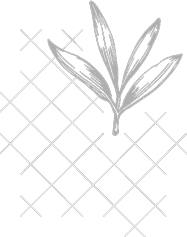 You'll also get my newsletter with wholesome vegan recipes, wellness tips, and more! Oh.my.word! Delightful recipe to try next weekend. Thanks. Lauren! Hope you love it, Dee! You’ll also get my newsletter with vegan recipes, health tips, and more!